For a while there, it seemed like Ethernet fabrics were all we could talk about on Packet Pushers. Then SDN was all the rage, and the arguments about TRILL vs. Shortest Path Bridging (SPB) went mostly silent. Now that SDN is in the “no, but really” part of the hype cycle, we can turn our attention back to cool technologies like Ethernet fabrics and see what’s happening. Our sponsor today is Extreme Networks. They’ve sent us technical heavyweight Paul Unbehagen and a customer, Dan Smith. We’re going to check in on an installation of Extreme’s Fabric Connect with Paul and Dan. We get an update on what’s new with SPB. 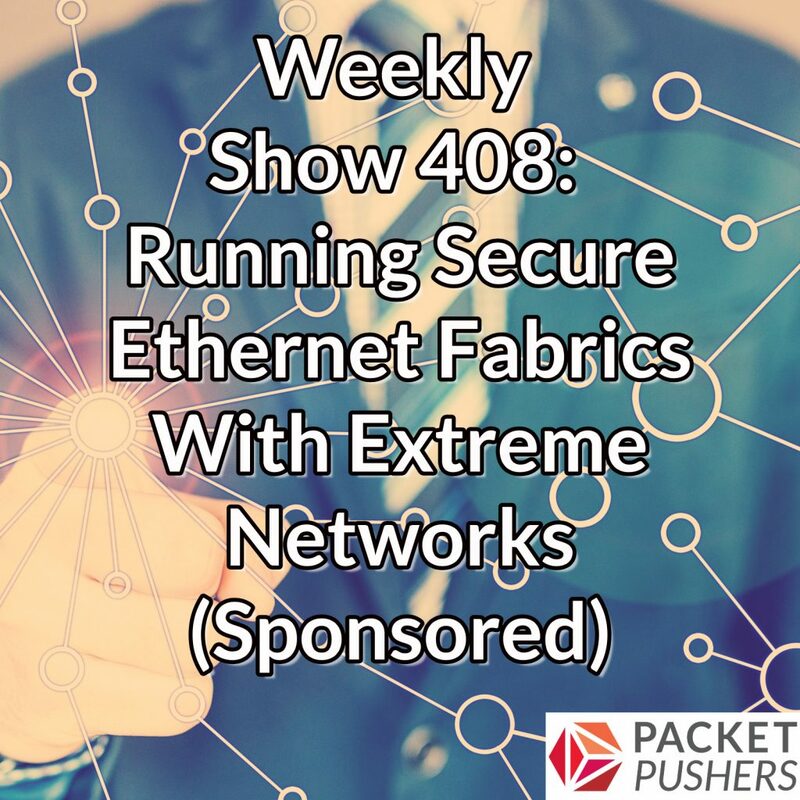 We also discuss Fabric Connect, an Extreme technology (via its Avaya acquisition) that is based on SPB and implements a fabric that can run across your entire network. Then we drill into Dan’s real-world Fabric Connect deployment in a complex environment (multiple sites and more than a million client devices connected) to learn how it works, how it affects day to day operations, and use cases that have emerged. Paul Unbehagen is Senior Director Product and Strategy at Extreme, and a voting member of the IEEE and co-author of the SPB protocol. Dan Smith is a Technical Engineering Specialist for a large U.S. healthcare organization. Sure like the difference between xvlan overlay and SPBM fabric.